One of the pleasures of being a writer is being able to put your work up in competition against that of your peers. This year “Putters Thorough Time” which appeared in Golf Oklahoma Magazine received the 2014 ING First Place Award for Equipment and Travel Writing. 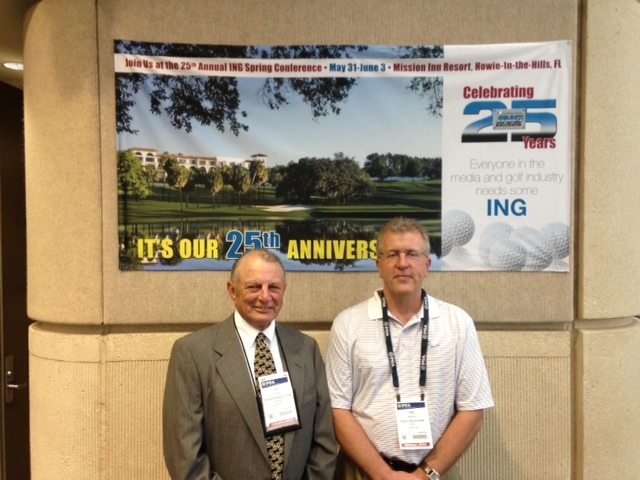 Pictured are Travis and Golf Oklahoma publisher Ken MacLeod after the ceremony.